A klobuk is an item of non-liturgical clerical clothing worn by Orthodox Christian monastics and bishops who follow the Slav traditions. It is composed of a kamilavka covered with an epanokamelavkion (veil) that are attached to each other. 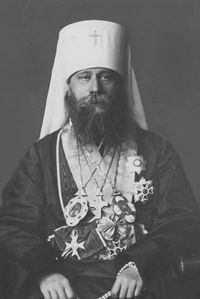 Generally speaking, metropolitans in the Slavic Churches wear white klobuks, as a sign of their rank and honor, while bishops and archbishops wear black ones. Also, metropolitans and archbishops who have been awarded this honor wear a small jeweled cross on the front of their klobuk. This is not the case, however, in the Churches of Serbia and Bulgaria, where metropolitans use black klobuks, and the white klobuk with the jeweled cross is reserved for the first hierarch of the local church (but in the Bulgarian Church, metropolitans may also be awarded jeweled crosses for their klobuks). The practice of Bulgarian Church coincides with that of the Church of Romania. The Patriarch of Moscow and all Rus' wears a white klobuk that is rounded on top, decorated with embroidered images of seraphim, and surmounted with a cross. This is sometimes called a cowl in English, although this is inexact. 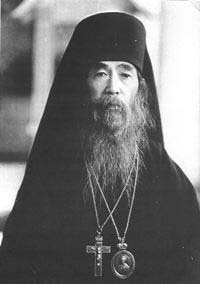 In Orthodox Churches following the Byzantine tradition, all monastics and bishops, regardless of rank, wear an identical plain black kalimafi and epikalimafi (veil). The only difference between this and the Slavic klobuk is that, for the klobuk, the two component parts are attached. This page was last edited on February 4, 2012, at 22:35.